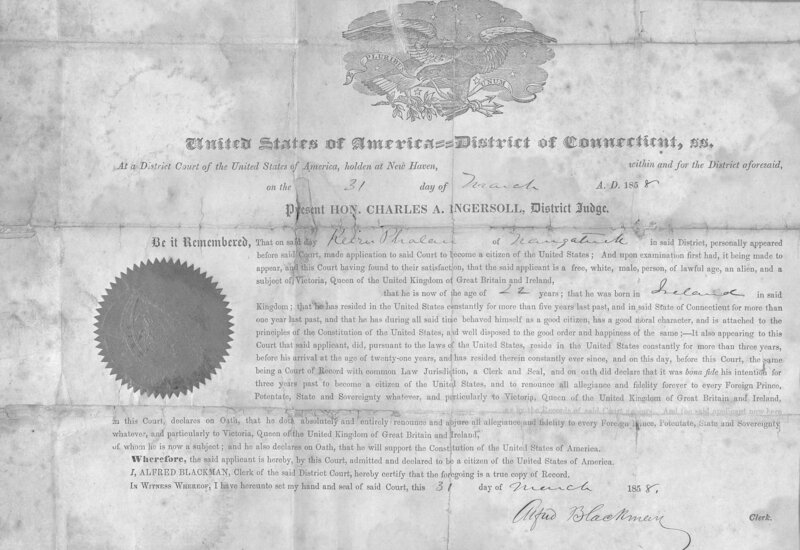 Whats in an Alias: Civil War Widowhood, Remembrance & Identity in the Words of an "Old Irishwoman"
As has been discussed in previous posts, the widows and dependents pension files offer us unique insights into the Irish immigrant experience in the United States. Occasionally, these files throw up an additional boon for the modern-day researcher, in the form of special investigations. These took place whenever the Pension Bureau suspected there was something amiss with a claim, or if it was in dispute. Reasons for the appointment of a Special Examiner could range from suspicion of fraud, to explorations of past bigamy, to assessments of the level of support being provided to minors. Though largely unwelcome to those subject to the investigation, the detailed interviews which were recorded by these Examiners often add fascinating and insightful information to our picture of 19th century life. In 1898, Elizabeth Phelan was subject to just such an investigation. 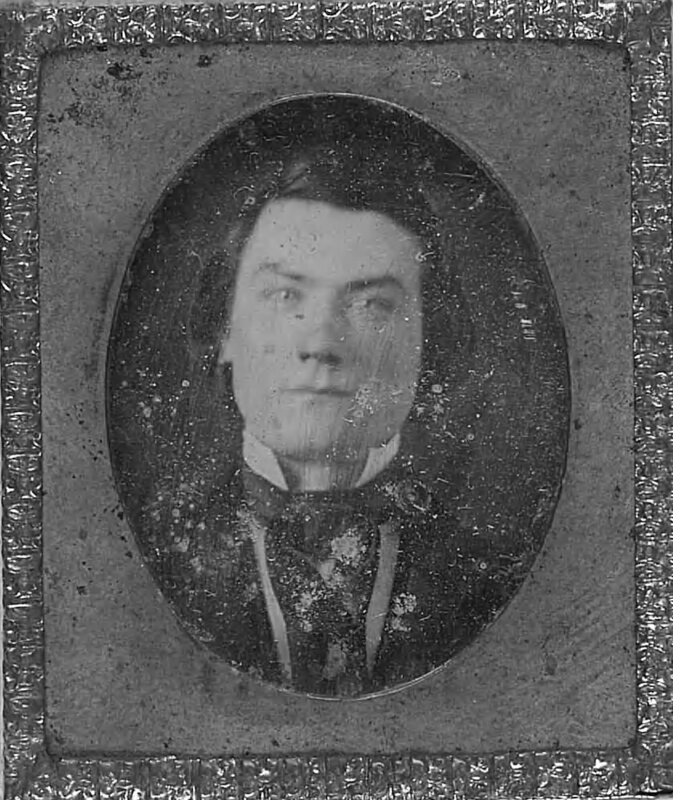 It was the those events which led to the deposition of much of the material in her file, including a letter she wrote to her husband in 1862, a response from the soldier, and still more unusually, a photograph of her husband. In order to reveal the chronology of their story, I have transcribed not only the Civil War correspondence, but also large tracts of the interviews and conclusions of the Special Examiners in the 1890s. What emerges is a detailed account of the Phelan family story, which spans almost half a century. It is very rare for pension files to contain correspondence written to a soldier by his wife. It illustrates the type of pressure soldiers were under to provide for those at home, something often made difficult by the erratic nature of soldier’s pay. Unfortunately, it would seem that Willy did not survive his illness, as no further mention is made of him throughout the file. The next letter in file was written by Kieran to his wife from Bedloe’s Island (now Liberty Island) in New York Harbor. He had just been at home on leave, and was returning to his regiment for what would prove to be the final time. Kieran was illiterate, and relied on comrades to write his letters for him. That this was the case is highlighted by his next letter, which is in a markedly different hand to the Bedloe’s Island example. His file is another example of how illiteracy generally did not prove an impediment to conducting written correspondence with those at home. 2d Div 2 Brig 18 A.C. The next correspondence was written following Kieran’s death, which occurred at the 18th Army Corps Hospital in Point of Rocks, Virginia. 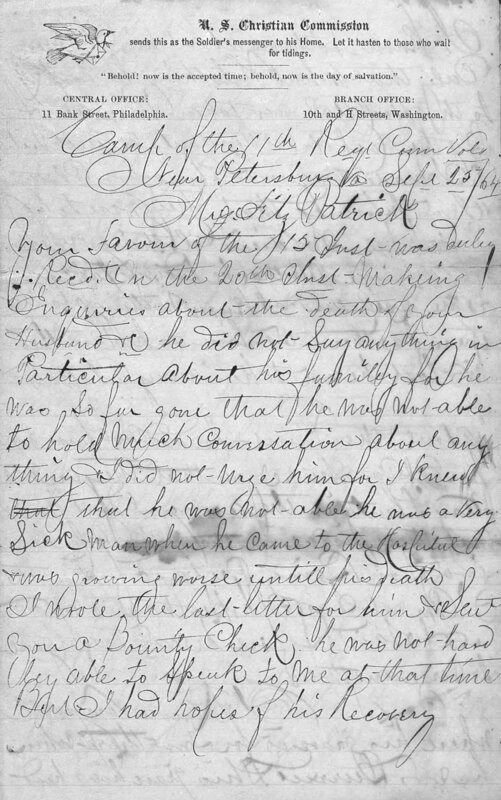 Written in the same hand as the previous letter, it identifies Michael Flaherty as one of the literate men in the regiment who helped his comrades to keep in touch with those at home. Elizabeth had by this point already been informed of Kieran’s death, which had occurred on 6th September. 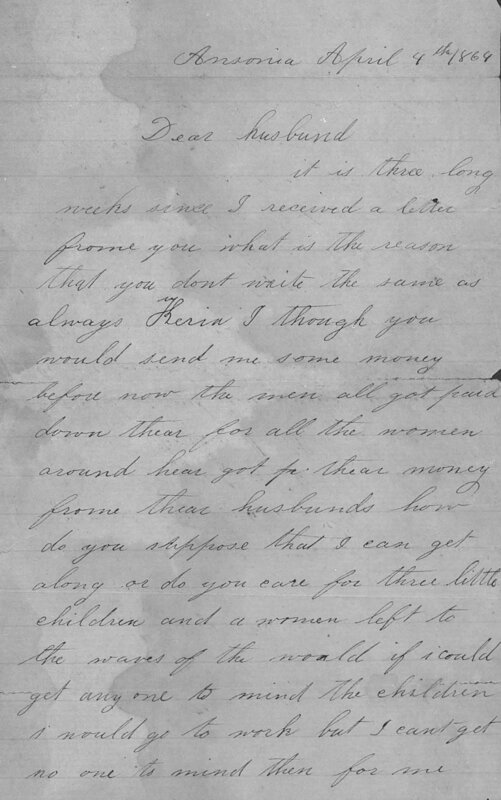 Flaherty writes to her in response to a number of queries she had regarding the circumstances of his end, and also with respect to his possessions. Camp of the 11th Regt Conn Vols. Your favour of the 15 inst was duley recd. on the 20th inst makeing inquiries about the death of your husband & he did not say anything in particular about his familey for he was so far gone that he was not able to hold much conversation about any thing. I did not trye[?] him for I knew that he was not able he was a very sick man when he came to the Hospital & was growing worse untill his death I wrote the last letter for him & sent you a bounty check. he was not hardley able to speak to me at that time but I had hopes of his recovery. I know very well where his grave is for I was there when he was buried this grave has a head board marked his name, Regt & Co his body lays in the graveyard of the 18th Corps Hospital at the Point of Rocks on the Appotamax River near Petersburg Va.
1898 was the year that the Pension Bureau discovered the woman who was claiming a widow’s pension under the name Elizabeth Fitzpatrick was actually known by everyone as Elizabeth Phelan (or Phalen as it was often spelt). Suspecting fraud, Special Examiner G.F. Woodberry was dispatched to establish the facts of the case. He interviewed the woman– now aged 61– on two occasions on 21st and 22nd September 1898. By this date Elizabeth was living at 17 Rose Street in New Haven. Her testimony, given in her one words, adds rich detail to the story of her life. I was married to Kerin Phelan in 1856 in Naugatuck, Conn. by Father James Lynch, who has been dead for some time…My husband left home in Augst 1862 and said he was going to Harlem, N.Y. to see his brother Thomas Phelan; he did go down to see his brother and then came back here to New Haven at the time he enlisted. I was living in Ansonia Conn. Yes, he came out to Ansonia to see me before he went away; he told me he was going into the army and that he was going to enlist under the name of Kerin Fitzpatrick which he did. I did not want him to do so but he did enlist under his mother’s maiden name of Fitzpatrick. [Question from G.F. Woodberry] Why did he enlist under the name Fiztpatrick? Well I can not tell. I do not know. He told me he was drunk when he enlisted. I dont know what his idea was. I think it was just a foolish time[?]. [Question from G.F. Woodberry] Had he gotten into trouble of any kind? No, not at all. He would drink some but he would get over it in a day or so. I am pensioned under the name Elizabeth Fitzpatrick because that is the name under which my husband served in the army. Sylvester Barbour, now of Hartford, Conn., got my pension for me. I told him about my right name being Elizabeth Phelan when I went to him to make application for pension. After my husband had served two or three years in the army he died of diarrhoea. I took the name of Elizabeth Fitzpatrick in order to get the pension. I am known by all my friends as Elizabeth Phelan. I have never explained to the Bureau of Pensions that my name was Elizabeth Phelan. I applied for pension and gave my name as Elizabeth Fitzpatrick, because that was the name under which my husband served in the army. I signed my application as Elizabeth Fitzpatrick, as well as all the other papers & sent to Washington to get the pension. My maiden name was Elizabeth Murphy: I was born in New York City, my father’s name was Thomas Murphy and my mother’s name was Margaret Quinn & I was never married but once and that was to Kerin Phelan. I married Kerin Phelan in Naugatuck, Conn. in 1856. We lived there until my husband enlisted: I then went to Ansonia Ct. and lived with my father and mother for quite a while and then took rooms in different places and lived there until about 1886 or 1887. I then came to New Haven Ct. and have lived here ever since. I have lived here with my two daughters. Both my father and mother are dead. 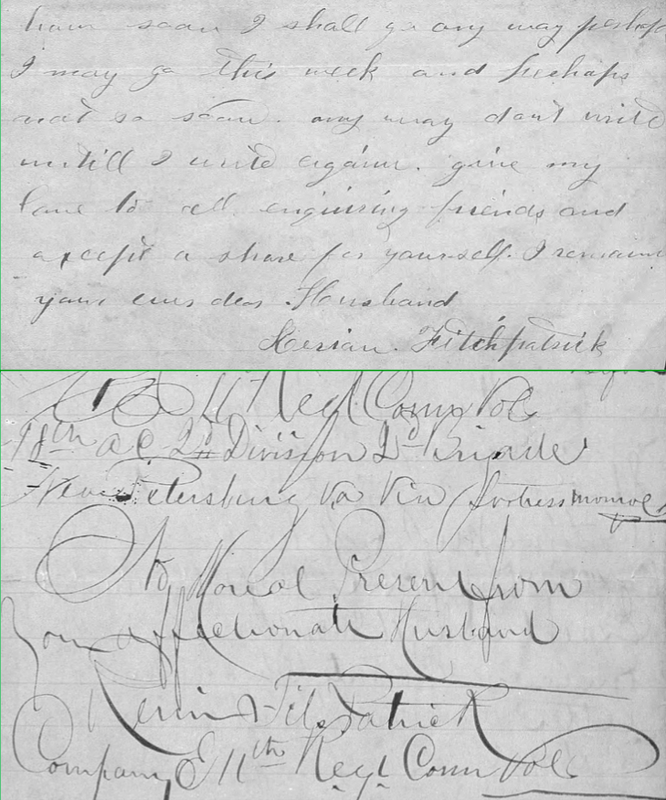 [Elizabeth followed this by giving the names of people who had known her and her husband, though many were deceased or no longer in the area] [Question from G.F. Woodberry] Who knows that your husband enlisted in the army under the name of Kerin Fitzpatrick? The conclusions of Special Examiner Jonas proved decisive. The Bureau of Pensions instructed that there be a “reissue of certificate to correct names of pensioner and soldier…further action by this division does not appear to be necessary.” Elizabeth Phelan had her pension restored, and she would go on to receive it until her death on 6th October 1906. The trials and hardships she endured in the late 1890s demonstrate the potential long-lasting impact of decisions taken by soldier’s during their service. 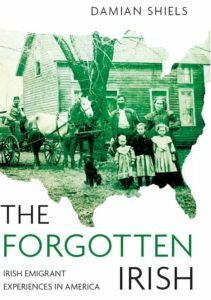 More significantly, Elizabeth’s misfortune has enabled us to hear her story in her own words and in tremendous detail, shining a light on Civil War widowhood, remembrance and identity in late 19th century America. Pension File of Elizabeth Phalen, widow of Kearn Phlaen, Company E, 11th Connecticut Volunteer Infantry, Widow’s Certificate 71372. 1860 Federal Census, Naugatuck, New Haven, Connecticut. Connecticut General Assembly 1889. Record of Service of Connecticut Men in the Army and Navy of the United States during the War of the Rebellion. Outstanding research and write up, Damian. This was of special interest to me as my Irish born ancestor, Hugh Hastings, of the 109th N Y Volunteer Infantry was killed May 12th, 1864 at Spottsylvania, Virginia. His regiments position was overrun by the Rebs and his body was not recovered, so he was listed missing in action. His mother fought for twenty some years to get a pension and was only successful after getting a couple of sworn written statements from comrades of Hugh who witnessed his being struck down during the fighting. It took me time and effort to locate documentation of all this and my research pales in comparison to what you have accomplished with this sad saga of Kieran Phelan and his widow. Well done, sir! Many thanks! I was actually at Spotsylvania 150 years to the day of that assualt. A truly horrendous day during the conflict. Do you know where Hugh was from in Ireland? Great work, as always, Damian! I have used this image in several presentations — National Archives conservators did an amazing job treating the image though years of dirt had already done some damage. This was followed by the National Archives’ expert digital imaging specialist who “coaxed” out the image from beneath the dirt so that Kieran could peer back at us to tell his story. Thanks Jackie! I though you might have! It is an incredible survival- if only there were more of them! If we can get some resources to continue work on these massive and fragile collections, we will surely re-discover more! Great detail and helpful in understanding what life was like for the soldier and the family. I post a link on Civil War Talk. This is really heartrending. I wonder how she took the news that her husband was without the comforts of a priest. Sorry in the delay in getting back on this. I imagine the balance of probabilty is it would have troubled her greatly- it is so often mentioned as a consolation that its absence must have been significant. We were actually discussing this at a recent Symposium I attended, on just how religion permeated so much of people’s daily lives and thoughts in the period, and how we always need to reckon it as a major influencing factor. Fitzpatrick of CT buried in Va–don’t know about first name…..
Thats great Phillip thanks for sharing that!